Our next pop punk band, Dear You, hails from Beaumont in Southeast Texas. They recently signed to Third String Records and have just released new music. 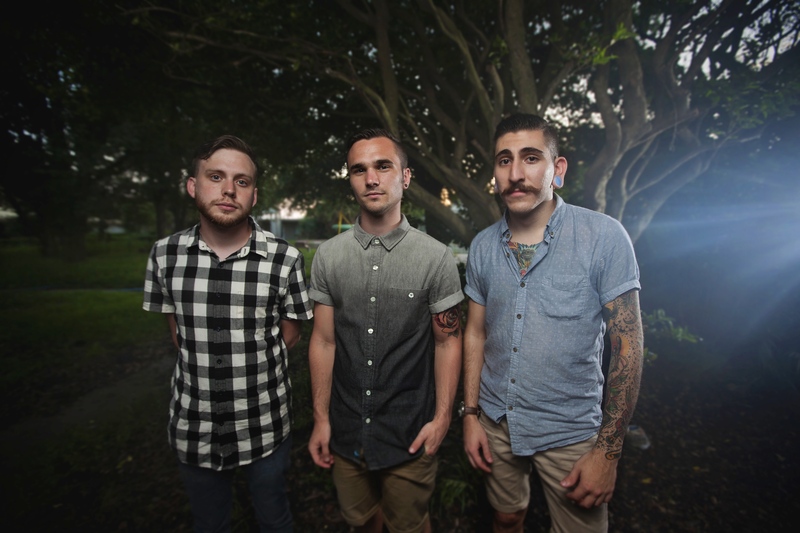 The band partnered with idobi Radio to premiere their single “Castles” which was written about their fourth band member Mason and his decision to depart from the band. After several months of dedication, they are releasing an EP in October of this fall named I Can Only Blame Myself. Pop punk is a genre known for its edgy, honest lyrics and Dear You is the perfect illustration of pop punk’s image and purpose. I sent over some fill in the blanks to find out who Dear You truly is. We met each other…. (how, when, where, etc.) Louis and Chris met each other first in kindergarten at the age of 5. We started playing music together when we were 14 and the rest is history! Thomas was actually a fan of the band, and added later as a guitarist, after we ironically saw a video he put on youtube covering our song on drums. The pickiest eater in the band is….Louis, without a doubt. Ask him how much he likes ihop. (he will tell you how much he hates ihop). The most OCD member is….Chris. And Chris is the one answering these questions. I’m doing that because I want to make sure all the words are capitalized and spelled correctly. I obsess over dumb things on tour, and I know it gets old to them. I also obsess over weird things when we record vocals as well, and I’m incredibly cynical of our music. I am probably no fun to be around. Chris: My mother’s gumbo. It’s incredible! Before the band we were employed as….Chris is still a photographer and works at Pac Sun. Louis works at a hospital, records bands, and is also a waiter, and Thomas is a bartender at a wine bar. Hopefully we can quit our day jobs and tour full time eventually. For fun we like to….Chris enjoys taking photos and play with photoshop and design stuff, and ride his bike. Thomas is really into getting tons of tattoos and drinking beer and wine, he likes cheese plates too. Louis records bands for fun and business, and he plays with his dogs a lot. The meaning behind the name Dear You is….Really it started because we wanted a band name that said something like “Dear you, this is who we are.” Now we just get asked if its a Jawbreaker reference. Which is equally cool to us. We’re currently listening to….Chris is into Knuckle Puck and Ghost Atlas. Thomas is really into Transit at any point in time. Louis is listening to From Indian Lakes and letlive. Because the CD is stuck in his car. Our influences include….I think lately we’ve been drawing a lot from Citizen, The Starting Line, Taking Back Sunday and Brand New. It’s birthed a really unique sound so far. The first song we wrote together as a band was…. “Can’t Go Home,” if you’re counting the first song that Dear You ever wrote. The first song we all wrote together as Thomas, Louis and Chris was actually “Castles,” which just came out. It’s all a really new thing haha. I Can Only Blame Myself was recorded in….Louis’ bedroom, and the room next to his bedroom. Also some stuff in the living room. We are super proud that we are pulling all of this off from our house, and have a lot of credit to Kevin Gates Productions, who is a fantastic friend of ours, for mixing and mastering and making these sound incredible. The album has been such a blast so far. The member(s) who writes most of our songs is….Louis has been writing a ton of the instrumentals, mostly on guitar, and Thomas and I go back and rewrite leads or guitar parts if we have to after the fact. He is a great songwriter, and his style is a huge part of our sound. Chris basically writes all of the lyrics, with Louis and Thomas helping refine the melodies once we record them. It’s a weird but satisfying flow! The furthest we’ve ever traveled for a gig was….Iowa! And it was so much fun. We were on tour though, this is just the furthest we’ve gone so far. One thing we want you to remember while listening to our music is….We try our hardest to make sure these songs are raw and as real as possible. Tons of work go into these songs, and we are always, always, always on the clock making this band better. We want these to be personal and a deep connection to us as people, and the people who really pick up on that feel so close to us. We really hope you guys enjoy what we are creating. We are always open to talking to anyone about our music, and just being closer in general to our fans, so please feel free to connect with us through this music! This entry was posted in Fill In The Blank, Interviews, Uncategorized and tagged band interview, castles, cleveland, Dear You, idobi radio, interview, music, pop punk, pop punk music, Texas, Third String Records. Bookmark the permalink.